UK Prime Minister Theresa May will arrive in Brussels to ask the 27 states of the European Union to delay Brexit. However, France is skeptical about any further extension beyond 29th March. The Chancellor Angela Merkel speaking in the German parliament said, the EU would delay Brexit only if the UK parliament delivered a “positive vote” on the withdrawal agreement. 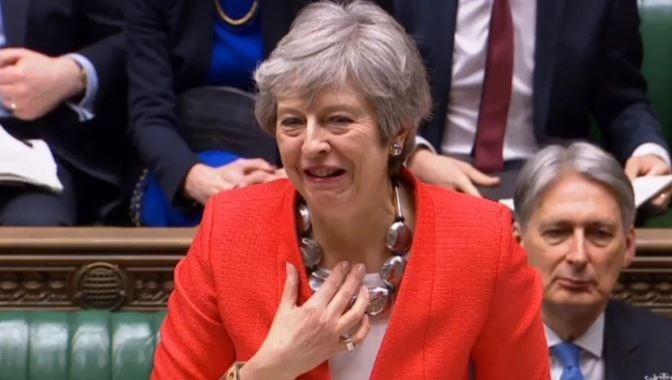 She suggested that there could be a short term extension up to 30th June 2019. The condition that Merkel has put forth before May seems impossible, currently there is no consensus on the withdrawal agreement in the UK parliament making it unlikely that there will be any “positive vote” this week or early next week. Most of Europe would want a peaceful UK exit, that is with a deal, however France and Germany want to send out a big message mostly to domestic audience. The European Union have made it clear that there won’t be any further discussion on the “backstop” agreement. The European President Donald Tusk said that the EU would agree to a short extension, but this would only be if Mrs. May’s deal is signed off by MPs next week. He added the EU is open to any emergency discussion if needed. The Foreign Secretary Jeremy Hunt said the UK would be faced with three options if Mrs May’s deal was defeated again next week— revoke Article 50, leave without a deal, or a longer extension could be granted at an emergency EU summit, but with “onerous conditions”. Meanwhile, the opposition leader in the British parliament Jeremy Corbyn held talks with the EU Brexit negotiator Michel Barnier and European Commission secretary general Martin Selmayr in Brussels, he said that the talks were “very constructive”.